Library is said to be the heart of any educational institute. 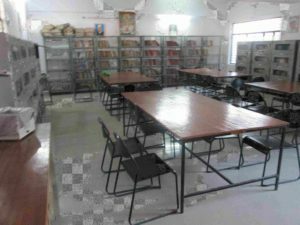 The college has a well equipped library with huge collection of good books on various subject for the readers those who love to read and learn. The Library remains open from 9:00 am to 4:00 pm through out year and during the examination days. All students, faculty members and employees are eligible for membership of the library. College also has well equipped language lab, Technology lab, Psychology lab, Science lab, Art & Craft room & Music room. The college has a well equipped computer lab. 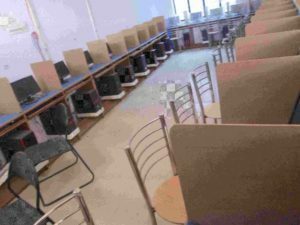 100 computers with supportive accessories are provided in the lab. College has a well maintained rest room for girls. Rest room is a place where students can rest it in their leisure time or in the time of need.